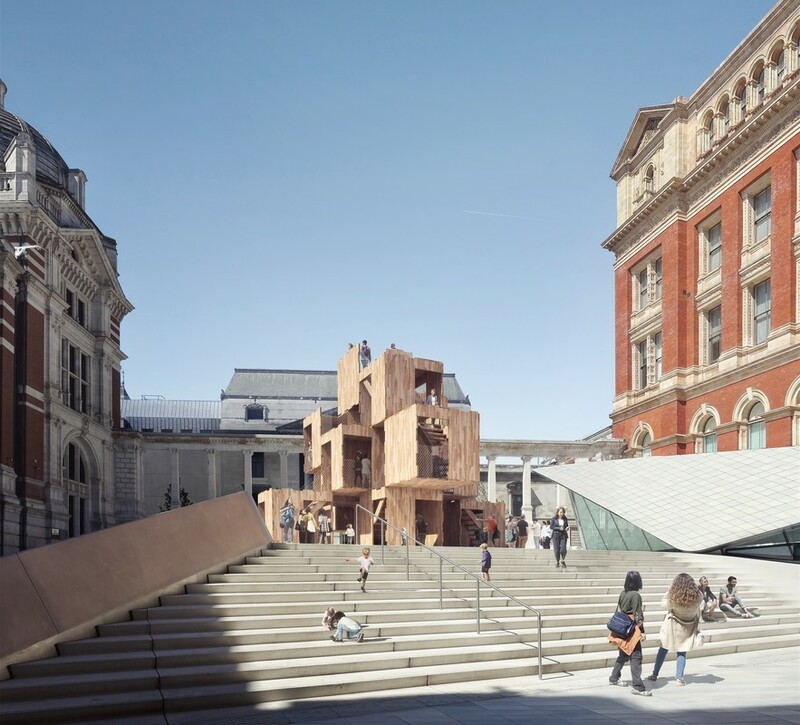 We are collaborating with the American Hardwood Export Council and ARUP to design MultiPly, a modular cross-laminated tulipwood pavilion, which will be hosted in the Sackler courtyard of the V&A from 15 September. 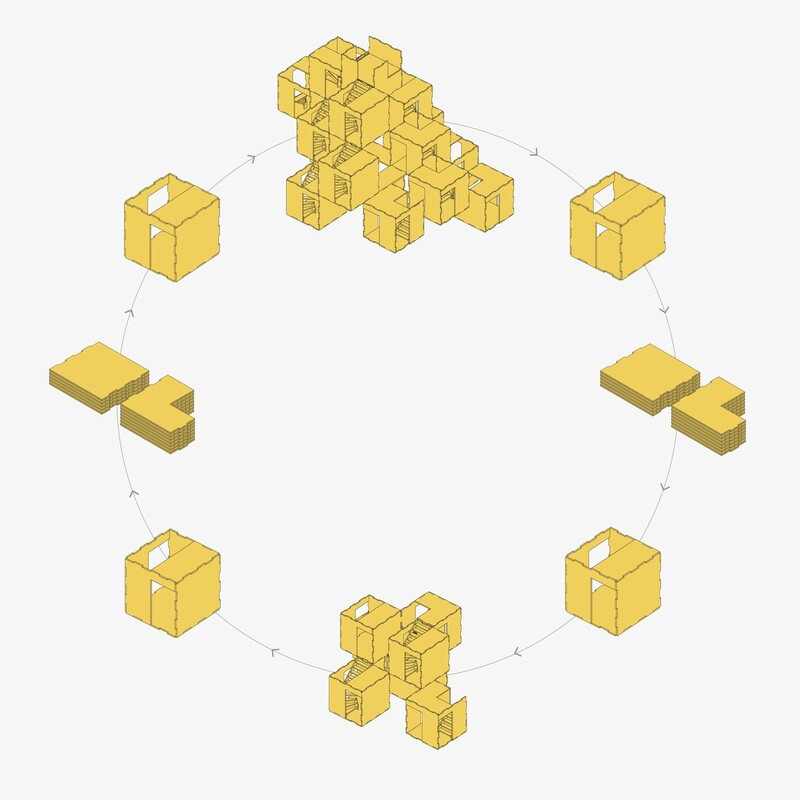 MultiPly, one of London Design Festival’s Landmark projects, will be comprised of a maze-like series of interconnected spaces that overlap and intertwine, and will encourage visitors to re-think the way we design and build our homes and cities. 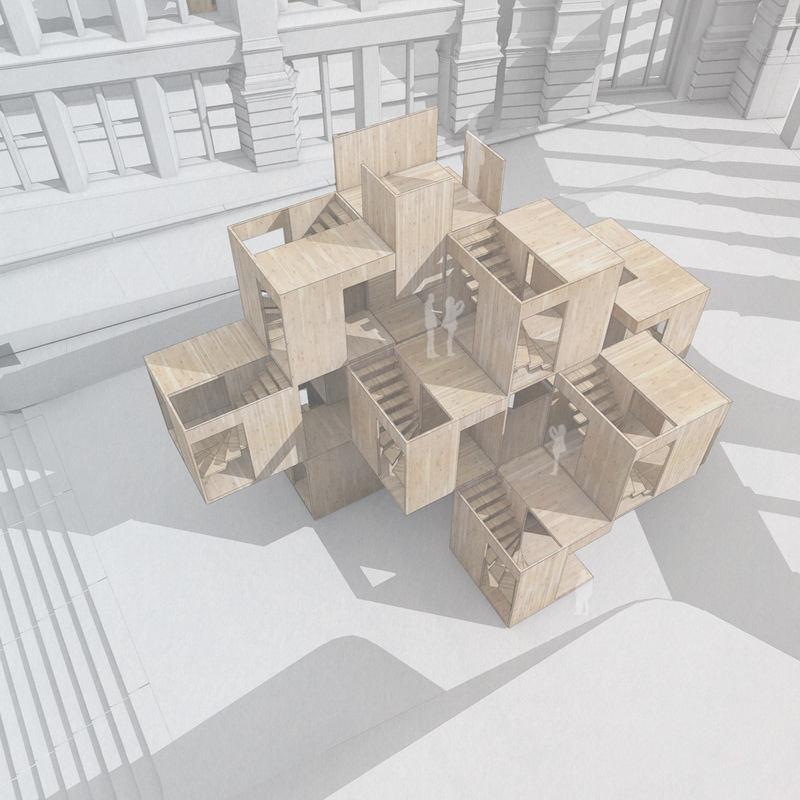 The three-dimensional structure will be built out of a flexible system, made of 17 modules of American tulipwood CLT with digitally fabricated joints. 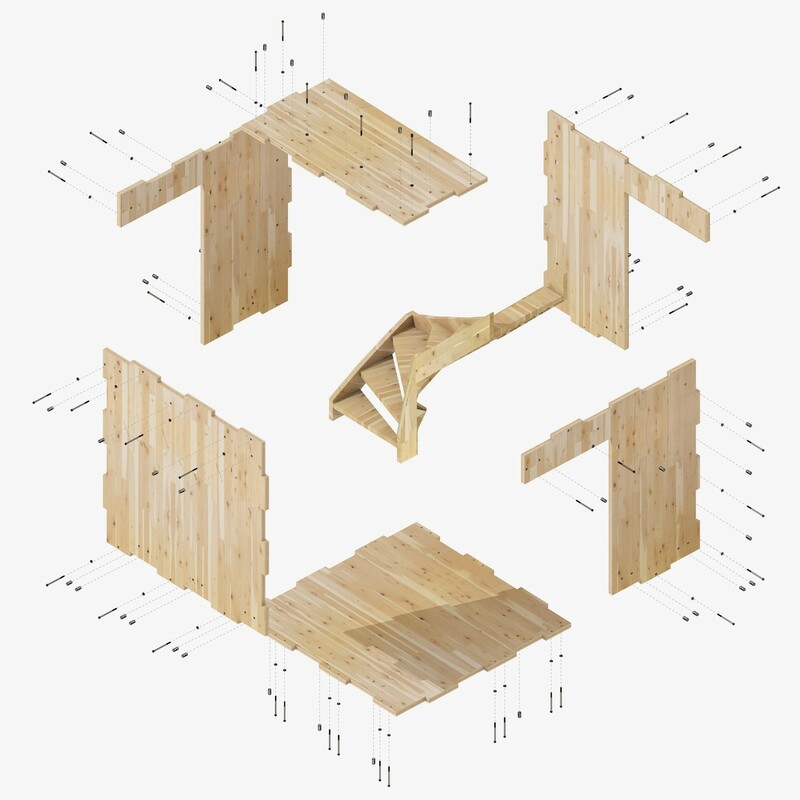 Like a piece of flat-packed furniture, it will arrive as a kit of parts and will be simply and quietly assembled in under a week Because it is built out of modules, the pavilion can be taken apart and reassembled in a new home after the London Design Festival. MultiPly confronts two of the current age’s biggest challenges – the dire need for housing and the urgency to fight climate change and presents the fusion of modular systems and sustainable construction materials as a solution. Our ambition for the project is to publicly debate how environmental challenges can be addressed through innovative, affordable construction. 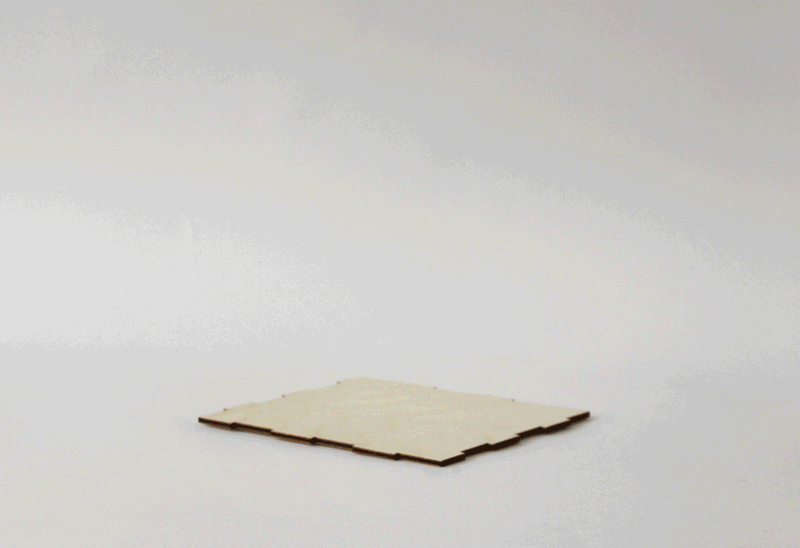 We are at a crisis point in terms of both housing and CO2 emissions and we believe that building in a versatile, sustainable material such as tulipwood is an important way of addressing these issues.